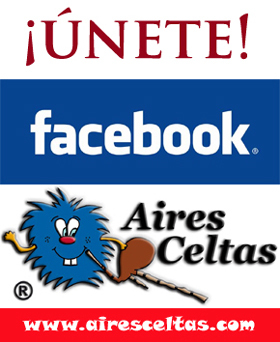 Listen to us at any time of the day by simply clicking "ON AIR"
In Aires Celtas you can enjoy the best celtic music! You can listen to us at any time of the day by simply clicking "ON AIR" and choosing the program you would like to listen. We offer a new one each week. Our wish is for our listeners to enjoy at least as much as we do making the program. 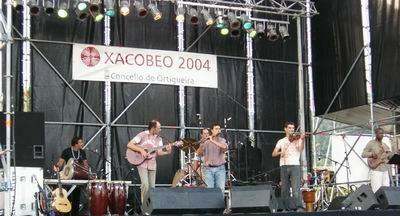 In any of the webpages of Aires Celtas, click on the right "Concert Agenda"
"Aires Celtas" was born in November of the year 2000 as a result of our love for celtic music We show the program listener a different and passionate world through music. We present to our listeners CDs of their favorite groups, exclusive T-shirts of our radio program, invitations... (all this thanks to our collaborators and sponsors). We welcom you to our date wishing you will enjoy it and accompany us.